Got $70 and an army of volunteers? Cool, let's make a film. 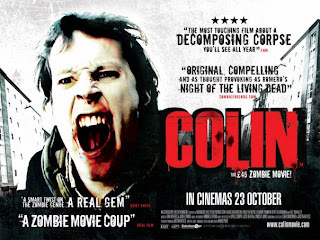 It's exactly what British indie director Marc Price did with his film Colin in about 18 months and some guerrilla ingenuity. It's been described as a zombie film with a heart told through the eyes of a zombie. And it's received quite a bit of buzz. It's being screened through select theaters in the US. Our hero Colin is bitten by a zombie; he dies and returns as one of the undead. We follow him as he wanders through suburbia during the throes of a cadaverous apocalypse. Through his encounters with objects, places and people, we learn who Colin was and more pertinently, what he has now become. Including a broad daylight zombie versus human street battle, an epic housebound siege and bags of gore. 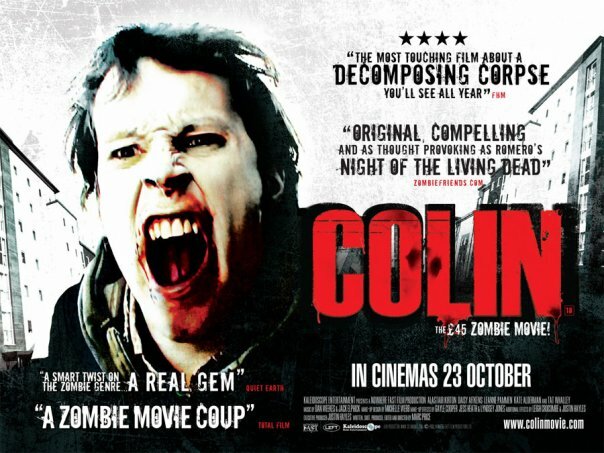 Colin is the must see Zombie phenomenon of the year. Sidenote: I really want to see this film to review it. Almost want to drive to San Antonio, it's the closest theater to show it. Anyone know of any Austin screening? Either way, I love how it shows that you can pull anything off if you just go for it.